We assume that there will be three Bundesliga clubs in the semi-finals of the DFB Cup. One of these semifinalists is determined in the duel between FC Augsburg and RB Leipzig. At first glance this sounds like a very clear thing for the cops, but let’s just take the time to look at the combined cup history of these two teams. In 2011 and 2013, these two clubs previously met in the DFB Cup. Once in the second and once in the first round. Both times the bulls were eliminated by the Fugger townspeople. However, one must also say that these were other times for the time unterklassigen Saxons. This year RB Leipzig is the big favorite in this duel. Augsburg is, despite recent relatively good results, still in relegation. Rank 15 is the current interim result. The cushion on the relegation place amounts to five counters. You are not through yet. The requirement of Stefan Reuter and the other responsible persons is to somehow muddle through and to hold the class. Leipzig, however, wants to return to the Champions League. With third place and currently five points ahead of Gladbach in fifth place, this looks relatively good. Therefore, in the match between Augsburg and RB Leipzig we would rather use the odds for a victory of the guests. Especially in the cup it depends less on what was last. With a stable defensive bastion and a chance to score, it can always be enough to prevail against a higher rated team. Therefore, before the kick-off between Augsburg and RB Leipzig, the prediction is not so clear, especially as both clubs have just over three weeks ago in the Bundesliga still shared the points. Therefore, everything should be possible, also with regard to the gameplay. Spectacular cup drama with many goals or boring ball attachment with few chances – both are not excluded. The kick-off for the quarter-finals in the DFB Cup between FC Augsburg and RB Leipzig in the WWK-Arena takes place on 02.04.2019 at 20:45. We are surprised at FC Augsburg this season basically nothing more. There is a 1: 5 defeat in Freiburg, a week later Borussia Dortmund is beaten 2-1 and then brings you in Leipzig a point. Before the international break, it was relatively good with these results and seven points from three games, but perhaps the break did not do the FCA so well. With a bankruptcy in the more than relegation-threatened club from Nuremberg, the Augsburg have namely done a disservice and continue to be under pressure in the league, because even the competition here and there gets their points. With five points ahead of the 16th, the danger is still reasonably clear so that the Fuggerstädters can look forward to a match against the Bulls as a welcome change. 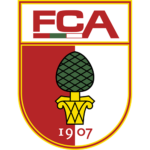 Nevertheless, in the match between Augsburg and RB Leipzig, we would not give any prediction for a successful game by the FCA. This is mainly due to how the Augsburgers performed on Saturday in Nuremberg. It was months ago that the FCN won a game in the Bundesliga. The home side did not offer a superior performance, but won the same with 3: 0 against the Augsburg. Such a defeat you do not just shake from the clothes, even if Stefan Reuter has immediately tried to go back to the agenda. He made it clear that he has big goals in the DFB Cup with his club. Not less than the pot is to be brought. However, first of all, a big increase is needed to even make it to the semifinals. Personally, it looks like Rafael Framberger and Julian Schieber are the only injured players. For Alfred Finnbogason, Dong-Won Ji and Jeffrey Gouweleeuw are struck and will probably sit on Tuesday on the bench maximum. Behind the use of Jonathan Schmid is also a big question mark. In the summer Ralf Rangnick will hand over his trainer position at RB Leipzig to Julian Nagelsmann. As it looks, the sports chief leaves his successor then a more than orderly ordered field. The entry into the Champions League is within reach. Besides, it would not surprise us if the Bulls celebrated their first title in the Cup. The shape of recent weeks and months suggests that this title is at least possible. RB Leipzig has not lost since ten games. Who does not lose, just does not fly out of the DFB Cup. Therefore, there is much to suggest in the game between Augsburg and RB Leipzig to place a tip on the progress of the Saxons. Without the burden of the Europa League, the Bulls are at least temporarily free. However, this does not apply to Timo Werner, whose future is still unclear and has been struggling for months with stoppages. It’s about time that the knot burst again at the national team. That was not the case last weekend against Berlin, but it was not necessary that day either. The Leipzig won the East duel against Hertha namely equal to 5: 0. Emil Forsberg opened the scoring before Yussuf Poulsen made the decision with three goals. After one hour, Amadou Haidara finished with the 5-0 already the final point. It was a very relaxed eve and probably the right mood for the cup fight in Augsburg. That the Leipzig will compete with great ambitions, should be clear. Emil Forsberg makes it clear that it is not far to the finals in Berlin and also to the title win. The Swede wants to contest the big final. With Lukas Klostermann, Atinc Nukan, Dayot Upamecano and Emile Smith Rowe missing some players. The majority is fit. It is expected that Marcel Sabitzer will slip into the starting lineup for Amadou Haidara. Diego Demme and Konrad Laimer would also be candidates who could well start. Eight duels Augsburg and Leipzig have delivered so far. Somewhat surprisingly, the FCA is in direct comparison in three draws with 3: 2 victories in front. We would not have felt that way. Many goals were not dropped in the matches of these two clubs. In the last four duels between Augsburg and RB Leipzig a tip on under goals (-2.5) would have been successful. Apparently Manuel Baum has cracked the code of the bull offense, because this season ended both games in the Bundesliga each with a goalless draw. Before the international break, the Augsburg were on a good way to bring the relegation in the Bundesliga in a timely manner under roof and drawer. The defeat last weekend in Nuremberg was a setback, which came in this form a bit unexpected. The momentum is therefore on the part of the Leipzig, who have not lost in the last ten competitive matches. Therefore, everything speaks for the fact that we look in the game between Augsburg and RB Leipzig rather on the odds on an away win, where it must be said that the FCA could win the previous two cup games against the Bulls for themselves. ↪ With 0: 3 Augsburg went down last week at tail light Nuremberg. ↪ RB Leipzig has been unbeaten for ten competitive matches. ↪ Augsburg still has a bright white vest against Leipzig with two victories in the DFB Cup. But if the Saxons play as they did against Berlin last weekend, then there will be a victory in Augsburg too. 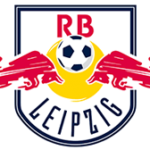 RB Leipzig has found back to the old ease and the tempo game, which has always distinguished this team in the Bundesliga. We therefore think that in the Mach between Augsburg and RB Leipzig the odds of up to 1.78 on an away win would be used and we will have the team of Ralf Rangnick in the next round still in the pot.